Gucci fan, I am not. It’s not a designer brand that I particularly like and there has never been a Gucci handbag that has tugged at my heart-strings and made me go ‘I NEED THIS’. That was until I saw this…. 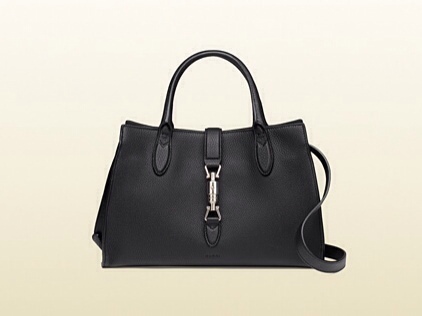 The Gucci Jackie Soft Tote in this particular size which comes with a shoulder strap. 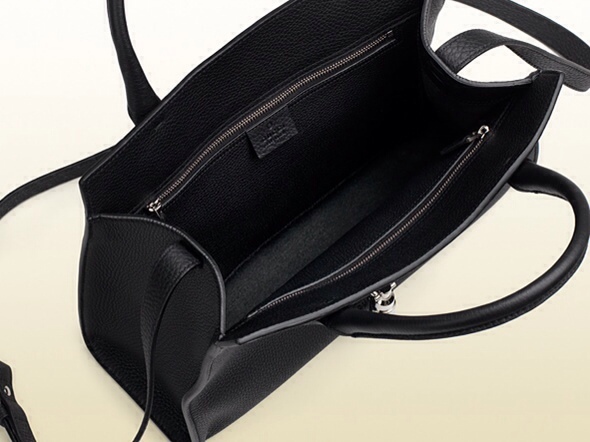 I think the reason why I like this is because unlike typical Gucci bags, it oozes sophistication and is rather understated. 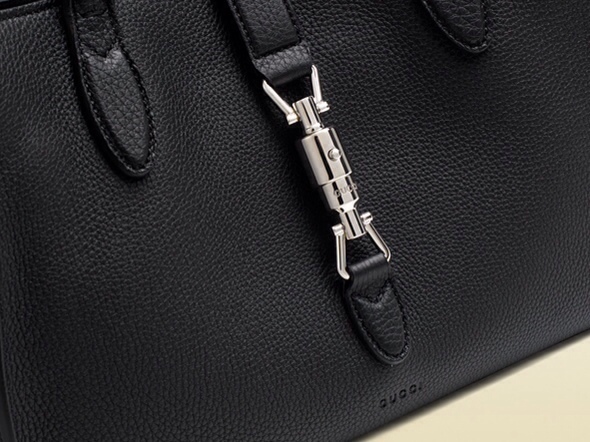 I like the piston strap closure in the front and the subtle embossed Gucci logo. In my opinion, this bag is a much better value compared to their other bags because you can get more wear out of it and will be classic enough to carry for many seasons. This style is new for fall and I would have never noticed it if it weren’t for Purseblog which featured the bag recently in one of their blog posts. 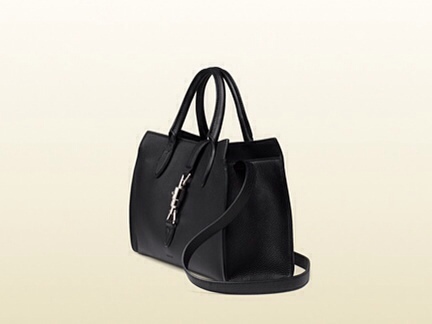 At $2300USD, I’m not going to rush out and purchase this bag. But it’s alright to dream right? I don’t know if I could spend that much on a bag even if I had the money to spare. Last week I bought a new handbag because my old handbag which I bought in 6 years ago in Osaka for $20NZ was torn. My new bag cost $25. I wonder if it will last another 6 years of daily use? You must have great eye for long lasting bags! 6 years! How long do bags usually last? I guess I fall in love with them and am unwilling to let them go. My perfect bag must have at least 6 pockets.